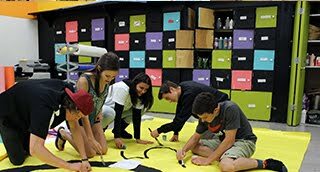 Del Oro High School has a fantastic leadership and service oriented courses. Students get into the different leadership classes based on an application process specific to each program. Overall, these classes truly help to uphold the tradition of excellence that makes up Del Oro High School and the surrounding community. The outreach of these programs extends far beyond the school, and students are often recognized for substantial dedication and accomplishments. solving, decision making, project planning, basic techniques and skills of leadership, basic communication skills, group processing, and personal development. to allow successful upperclassmen to teach the culture of the school to the freshmen and guide them towards a memorable and productive high school experience. subject area and teaching. Students must complete an application with consent from a teacher. community resources and develop their own sense of self. Peer mentors will then use learned skills to help with, but are not limited to, new students, conflict management, students in trouble, and work with other minor school and/or home related problems.